It's possible to put together from pages online a decent picture of what the chinatown bus system looks like, but a map is easier to look at. Click the map for a larger version. 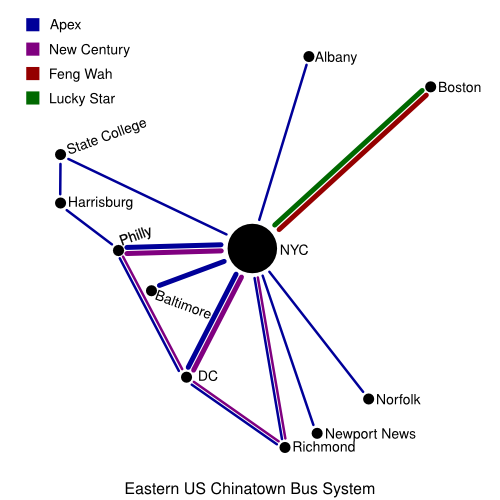 The very comprehensive list of chinatown bus routes has several companies I've not listed here. This is because I've never actually taken or seen these busses and I'm not sure if they really exist as separate entities or are merely rebrandings.